Pope Francis said we must often recall this idea: “I am travelling in life to meet Jesus.” This meeting will make us happy forever, he said. “But what does Jesus do in the meantime?” the Pope asked. As John’s Gospel points out, he said, Jesus is working for us and praying for us. Pope Francis recalled Jesus’ words at the Last Supper, when he promises Peter he will pray for him. 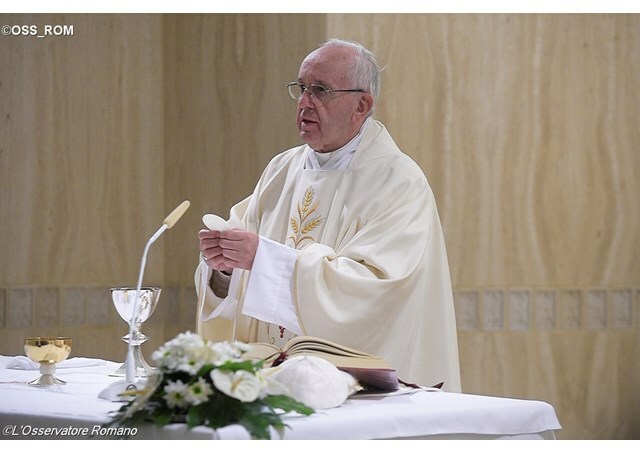 Finally, Pope Francis said Jesus is the priestly intercessor, right up to the end of the world.